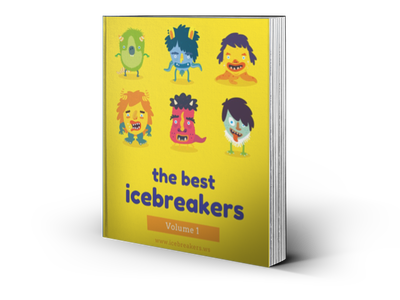 The Best Icebreakers Vol 1 eBook - Icebreakers, Icebreaker Ideas, Games, Activities! The official eBook of the best icebreaker activity guide with detailed step-by-step instructions, templates and more to the best icebreakers. Great for building teamwork, breaking the ice, and helping people get to know each other better! 63 pages, PDF. Allows printing and copy and paste. The official eBook of the best icebreaker activity guide with detailed step-by-step instructions, templates and more to the best icebreakers. Great for building teamwork, breaking the ice, and helping people get to know each other better! 63 pages. No advertisements. Allows printing and copy-and-paste. Cart - Icebreakers,Ideas, Games, Activities!